If You Ever Want to Bring A Circus to the Library, Dont! All of us in education know that a big part of the first several weeks of school involves establishing classroom rules and expectations for the year. So let's be honest here: This is hardly the most enjoyable topic for adults to address, and it is certainly a snoozer for kids and students. But it's not just important -- it's a must -- so why not kick this discussion off with an adorable book? Enter If You Ever Want to Bring a Circus to the Library, Dont!, by Elise Parsley. Magnolia is back, starring in her third book! In If You Ever Want to Bring A Circus to the Library, Don't!, Magnolia advises her librarian that she will definitely abide by appropriate library behavior while there on a visit. But then Magnolia begins tight-rope walking, twirling and engaging in other circus antics around the library, and though she elicits great cheers from the other library patrons, the librarian is totally dismayed. When Magnolia's grand finale cannon-ball across the stacks is a total disaster, she discovers that the only other way to win back her fans is-- you guessed it -- by reading a magical book. Whether you want to talk about expectations for the classroom, for the library, or even your own home, If You Ever Want to Bring a Circus to the Library, Don't! is a fantastic book to get that conversation started with your young children. It's a light, fun read, one that will undoubtedly make your kids laugh while simultaneously reinforcing some important rules. There's nothing kids love more than recognizing they know something valuable that a character in a story is totally missing-- and nothing gives them a greater sense of joy than yelling to characters in a book when they are doing something wrong! Want the book? Get it here! 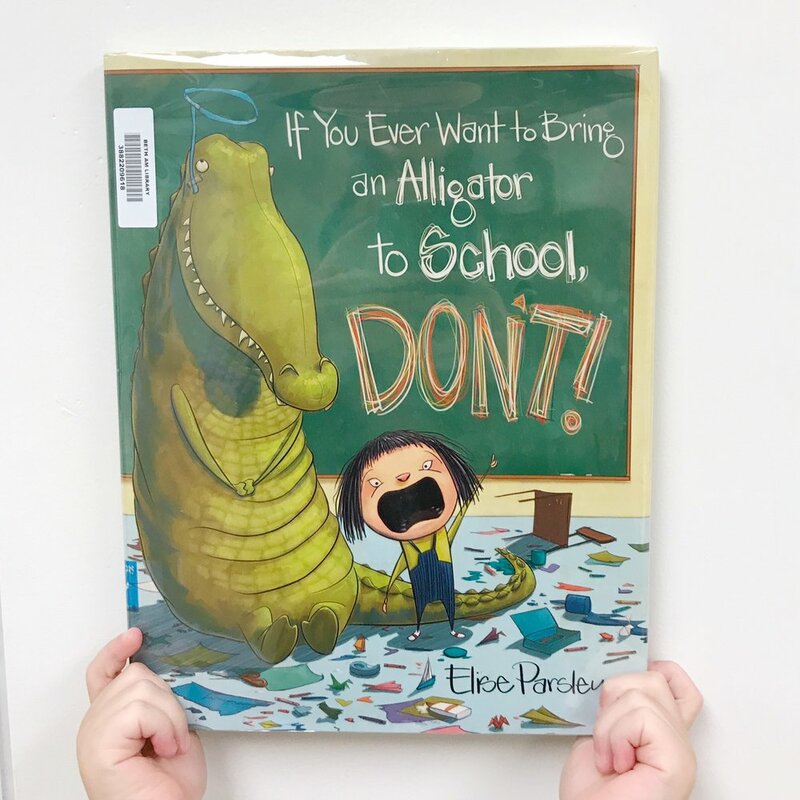 If You Ever Want to Bring a Circus to the Library, Don't!, by Elise Parsley. *This is an affiliate link.